We supply terrain models to developers, builders, architects, watershed coalitions, the military and model shops around the world. 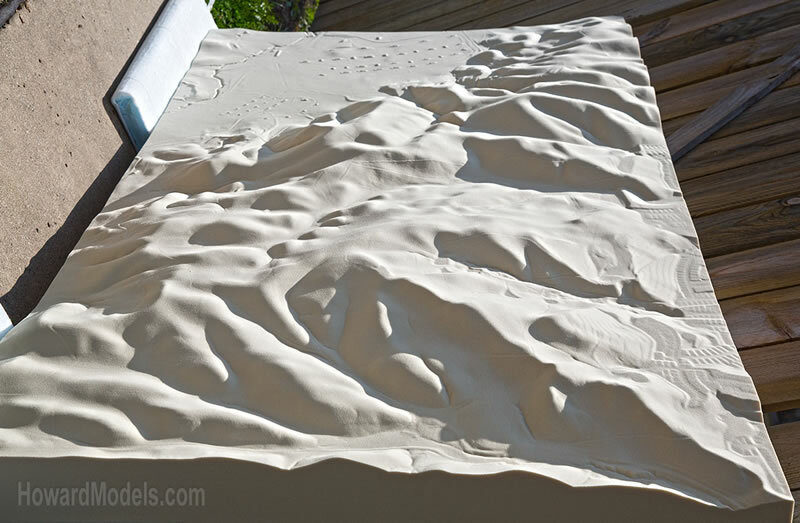 Our terrain models are milled from slabs of high density polyurethane foam. 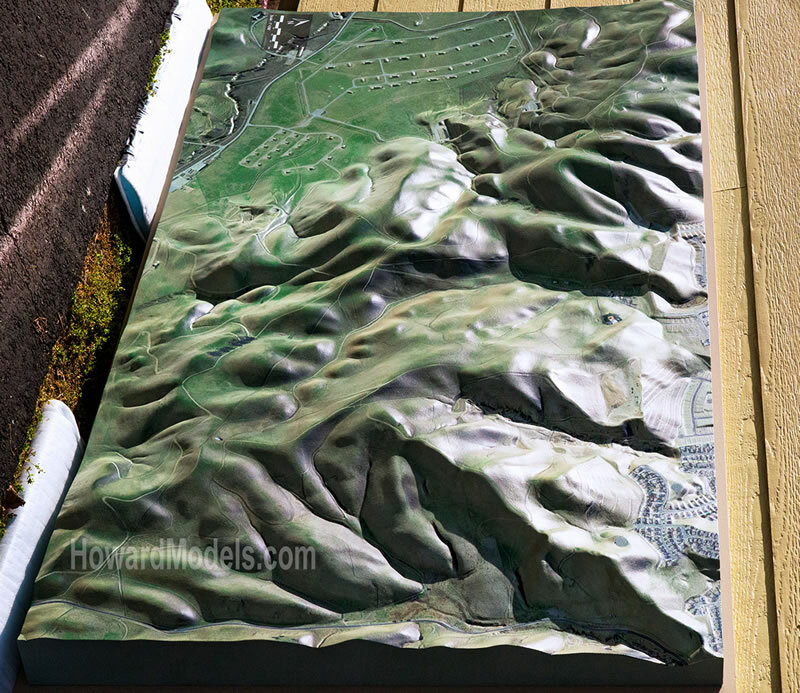 Our milling process accurately creates your terrain model from your paper or digital elevation model. Our models can be finished out and ready for final presentation, ready to drop your building into or supplied right off the machine for use as a study model or for your model shop to finish. We are experienced model makers. Our models are precision cut from a solid piece of high density polyurethane foam. 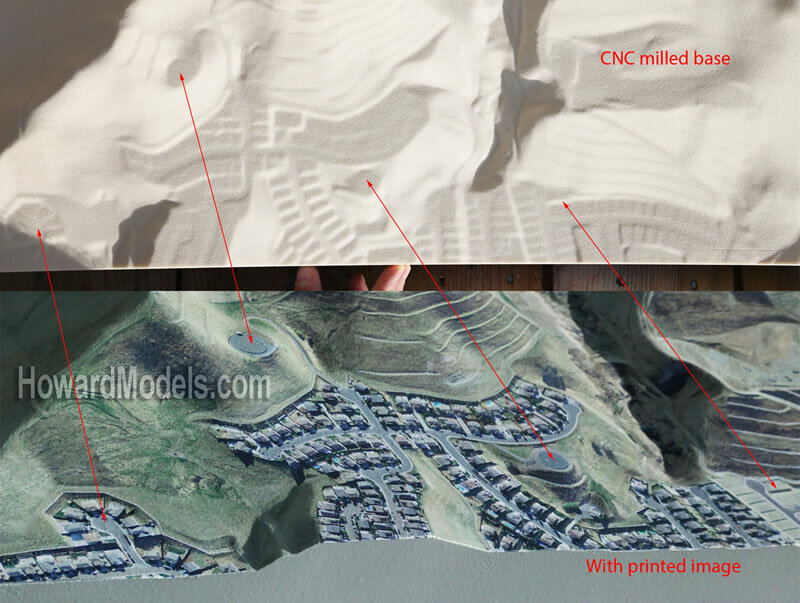 Our high speed milling process accurately creates the terrain model from your DRAWINGS or DATABASE. Upon receipt of your information, we will call you to confirm details and PRICING.